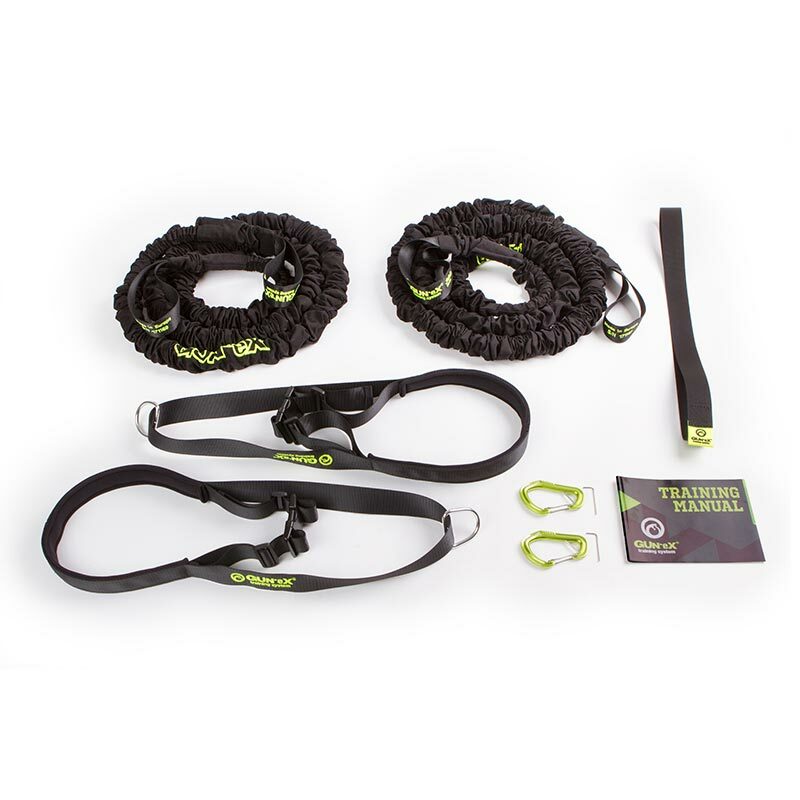 GUN-eX® COBRA elastic battle ropes are perfect tool for PT and small group PT. It is a new way of functional training that offers full body conditioning and develops athletic and coordination skills. For trainer, it’s easy to have 1 on 1 session or train 2-4 clients simultaneously. With bootcamps and small studio spaces you want to minimize the amount of equipment to carry and purchase. 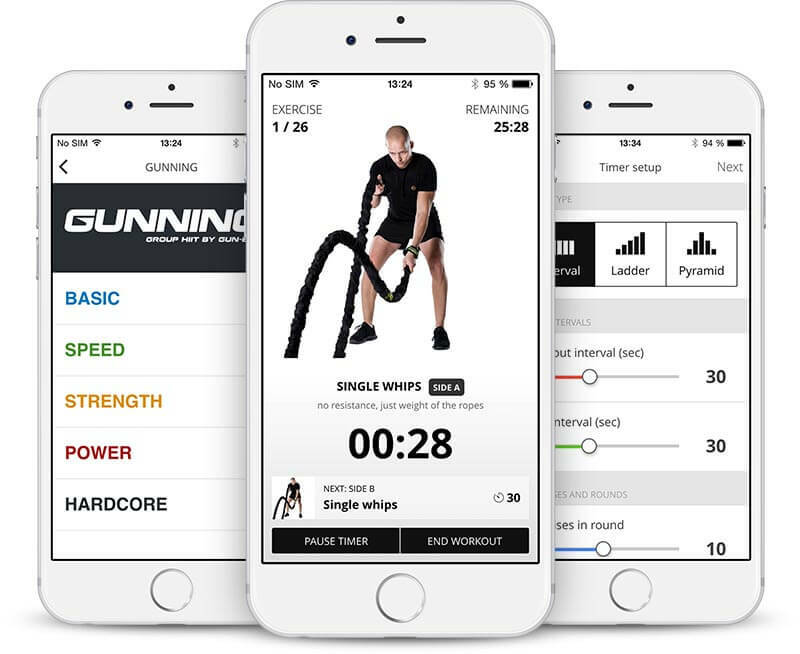 The GUN-eX COBRA elastic battle rope will allow you to achieve hundreds of exercises/movements with one piece of equipment. Short HIIT training – clients can quickly see progress which results in high retention rates, it’s easy to sell PT sessions and gym memberships. One trainer can easily have 4 clients and run them through GUN-eX PT training. 4 PT sessions with one trainer = high prime time effectivity. In clubs with GUN-eX ropes implemented, 85% of PT trainers regularly use GUN-eX for PT sessions. GUN-eX training is highly effective HIIT with quickly visible results for the client. Training with GUN-eX is new and fun, and people love coming back for more sessions. Workout with GUN-eX ropes help to develop broad movement skill. Client can choose to work selectively on upper or lower body or do full body workout. It’s easy for trainer to switch between different types of workout. Simple to use tool that’s easy to lead training with. New tool gives trainer advantage over trainers not using it. GUN-eX COBRA is easy to transport and setup (outdoor training, bootcamps). Interaction with client helps build closer relations and bounds client to the trainer = higher retention rate and client satisfaction. It’s easy to progress or regress exercises and workout to accommodate various fitness levels of clients. GUN-eX is simple full body and cardio training for every client. Professional education is available to trainers. Free mobile app with premade workouts that trainers can use immediately or make their own. App offers different types of interval timers and pictures of movement execution. One day education course for trainers, certified by ACE and REPs.
Free mobile app available for iOS and Android. Easily use premade workouts or create your own timers. Hundreds of possible exercises that can be further enhanced by wide range of available accessories. Cobra has specific weight and length to be used as a sprint system, battle rope, and resistance cord system. Train on the beach, in the park, in snow, mud, or water. Cover sleeve from Cordura won’t tear and you can wash your rope later. It doesn’t change its elastic properties over time and it doesn’t burst, regardless of how many times you train with it. 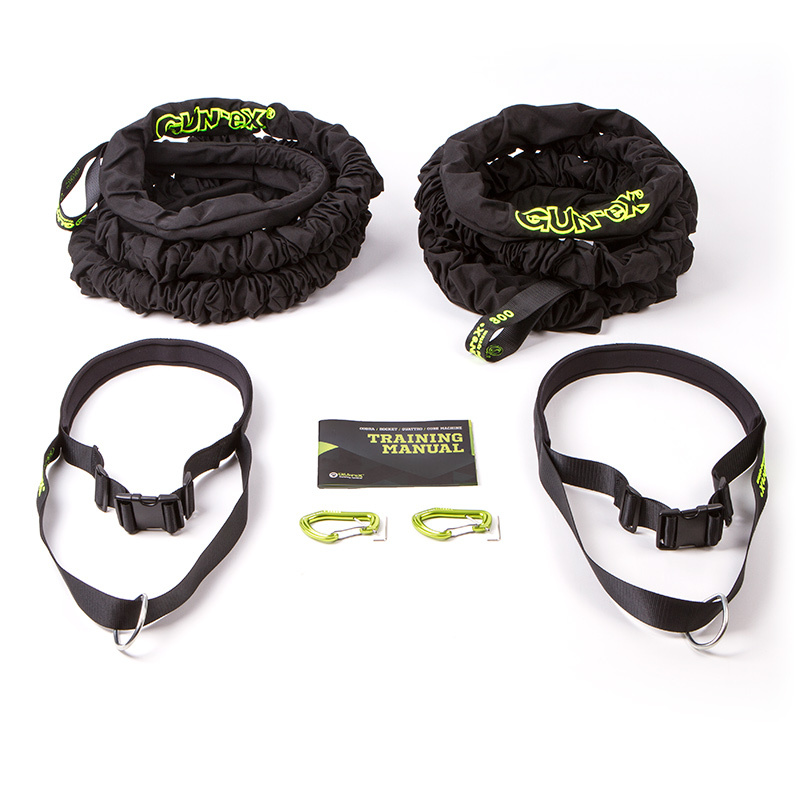 You are safe with straps made from military grade webbing and parachute threads that exceed even the highest safety standards. Safety and injury prevention guaranteed by carabiners tested for extreme forces up to 21,000 Newtons. Carabiners come with anti-theft locking pin.